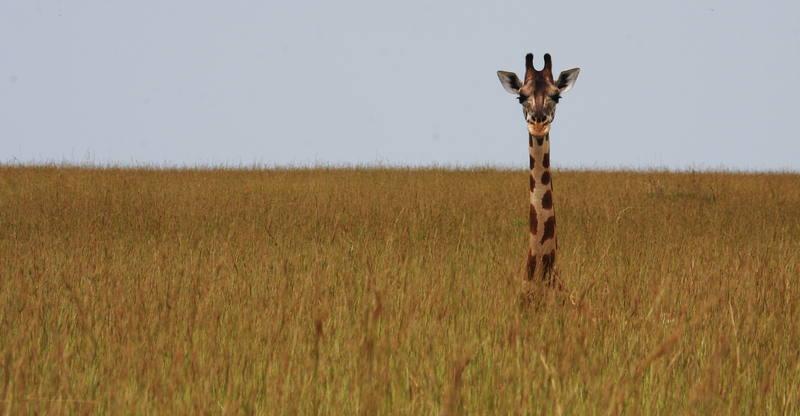 The mathematical inequality statement is seemingly simple: (16 feet of giraffe) > (4 feet of grass). 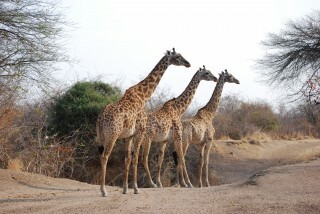 Under this premise, it’s easy to imagine that locating groups of giraffe in the open grassy savannas might be a relatively straightforward task…but occasionally giraffe behavior trumps rudimentary mathematical representations. It was mid-afternoon during the second day of our seasonal giraffe surveys of Murchison Falls National Park, and as we bounced along the dusty game track, we saw what appeared to be a lone giraffe standing in an area of open savanna. I pulled my binoculars to my eyes, and as I glassed the apparently solo adult female, several other giraffes in repose gracefully lifted their heads above the swards to reveal a group of Rothschild’s giraffe in, what moments before, appeared to be a silent sea of grass. The Rothschild’s giraffe (Giraffa camelopardalis rothschildi) is among the most endangered of the giraffe subspecies, with fewer than 2,000 individuals scattered across isolated populations in Kenya and Uganda. 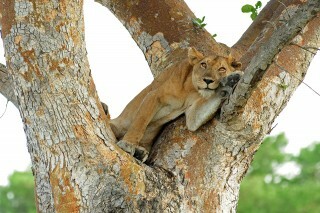 The largest population, found in Murchison Falls National Park in Uganda, has recently exhibited some very interesting trends. Following a period of civil unrest in the region that ended nearly two decades ago, the giraffe population in Murchison Falls National Park has grown remarkably and now contains roughly two-thirds of all known wild Rothschild’s giraffe. These population-level trends run contrary to many of the other giraffe populations throughout Africa, which data suggest have declined dramatically over the same time frame. Dartmouth College, The Giraffe Conservation Foundation, and the Uganda Wildlife Authority are working together to understand the factors that might contribute to these population dynamics. Like Grevy’s zebra, giraffe have unique coat patterns that almost act as a name tag and allow us to track unique individuals over space and time. With digital photographs and pattern recognition software, we can accurately assess survival and reproduction as well as map out changing spatial distribution over time. Combining these methods with other giraffe movement studies, we hope to better understand the complex relationships that giraffe have with this fascinating ecosystem, examining how changes in ecological interactions can influence individual giraffe behavior and giraffe population dynamics. 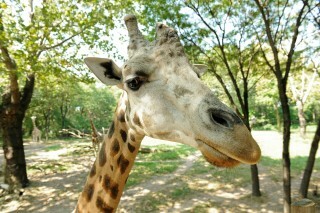 Wonderful news about this giraffe population! Thank you for sharing your work. Love the math intro – it helps me picture the scale. Informative story and terrific photo!